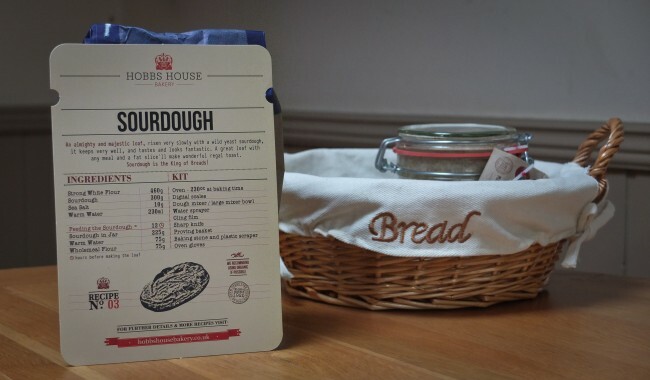 It was meeting Tom Herbert at the Do Lectures that inspired me to have a go at baking sourdough. 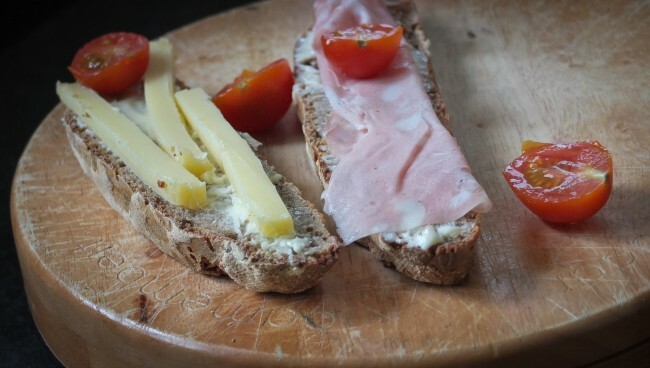 And it was Tom who gave me a jar of 57 year old (55 years old in 2010) sourdough to take home and try. Luckily it came with a handy recipe card with all I would need to know to get going. 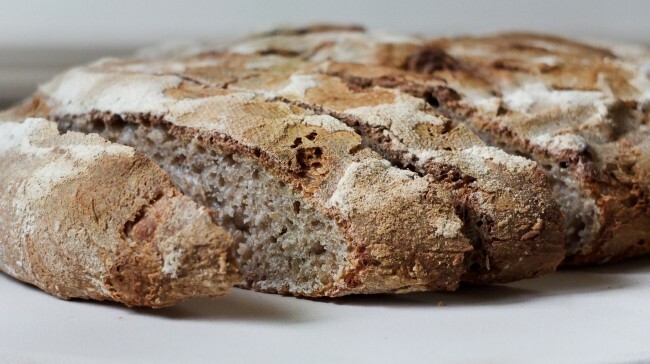 I had fed the sourdough 12 hours before I was due to start and this involved adding 75g of warm water and 75g of wholemeal flour to my existing 225g. I gave it a mix and left it out. 12 hours later I assembled my kit and weighed all the ingredients into the mixing bowl, mixing together with the plastic scraper. 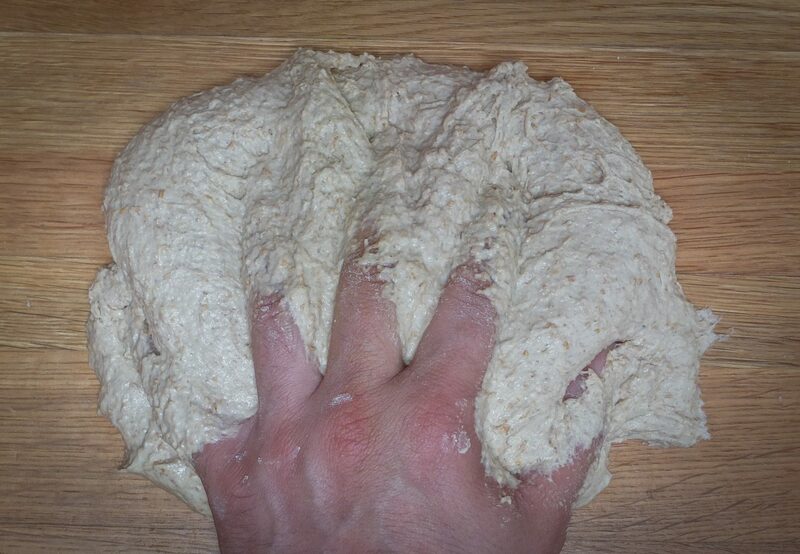 Once I had a rough wet dough I turned it onto a table and got to work on it. It was a little wetter than I wanted but after about 10 mins work I got it looking like a stretchy soft lump. I then popped the dough back into the mixing bowl and covered it with clingfilm. While I left it for half an hour to relax, I fed my sourdough and popped in in the fridge for next time. After half an hour I lightly dusted the table and plopped the dough out and molded it into a rough dough shape. I then dusted the proving basket with flour and placed in the dough covering it with clingfilm. I then left it for 12 hours. When I returned it hadn’t doubled in size but I thought stuff it. This was my first attempt and I was getting hungry. I heated the baking stone to 230°c and teased the dough onto the stone. As per instructions I marked the top and sprayed, or rather splashed water with a brush (as I didn’t have a sprayer) on the top of the dough. Half an hour later.. I had a loaf! And what a loaf. I taped it to check for the hollow sound and although it was thinner than I had hoped, the important thing for me was the taste. I wasn’t disappointed. It was absolutely delicious. I knew I could work on getting the rise right but the taste was better than I expected. Since making my first my following experiments have gone from strength to strength. I want to thank Tom Herbert for the inspiration and highly recommend anyone have a go at making a sourdough loaf. This post is part of my list of 40 things to do while 40 years old. If you don’t want kittens to die subscribe to this blog. 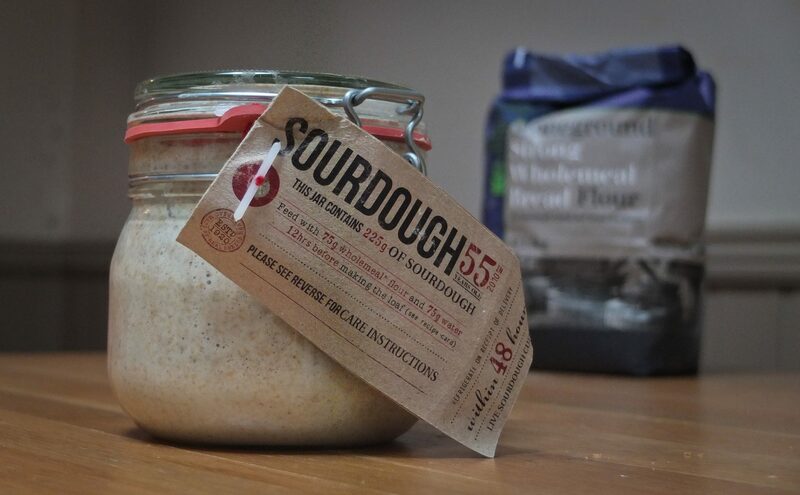 Just out of interest, how much does the jar of sourdough retail for?